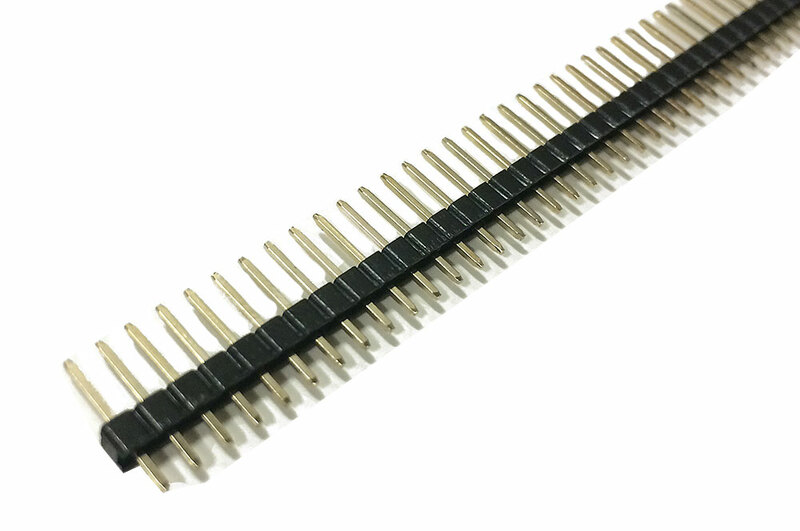 2.54mm (0.1") 40-pin break away single row male header. It can be cut to size with a pair of wire-cutters. You can use them for many projects; for example with the Arduino shields.